Banana is very well known to each and every one all over the World due to its Availability what ever may be the season. The one more thing due to its popularity is the cost; it is affordable by any one regardless of Rich or Poor. Banana is consumed by numerous people due to its Taste and Texture. It makes to feel the Appetite full whenever it is consumed. Banana is also considered to be Nutritious as it has several benefits regarding Health. It is only considered to be limited in the cases of Diabetes and People who ought to Weight loss. 1 Big Ripe Banana (100gms) contains 116 Calories, 1.2g of Protein, 0.3g of Fat,2.6g of Dietary Fiber,27.2g of Carbohydrates. Banana due to its high Calorific Values it provides instant Energy when Consumed. Banana consumed in a day makes one feel Energetic. 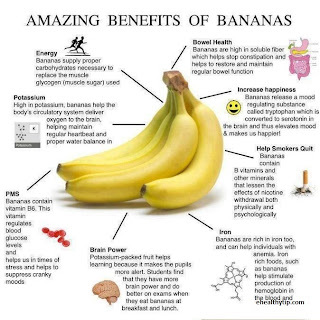 Banana is treated as the Medicinal Fruit; as it supplies required nutrients for the people who have high fever and helps to gain wait those who are low in weight than required. Since it is a good source of Potassium and Magnesium it acts as good food for the people who suffers with Blood Pressure and Heart Diseases. It also the Ideal food for Bone Health as it contains high Potassium Levels. Banana resists the loss of Calcium in the Urine due to increase in Potassium levels. Banana is well known for its property of protecting from Stomach Ulcers by Providing Friendly Bacteria which depresses the Unhealthy Bacteria to Develop that creates gastrointestinal Disturbances. The state of Dehydration causes the lose of necessary Electrolytes from the body in the form of Sweat and Urine, so consumption of a Banana at this stage Regenerate the Electrolytes in the form of energy that are gained from the rich Potassium levels in Banana. Banana is well known for Digestion as it is rich in Dietary Fiber which helps in relieving Constipation. Due to they are rich in Prebiotic Fibers, they exhilarate the Friendly Bacteria by protecting from harmful Bacteria that causes Gastric Problems. Bananas also contains Fructooligosaccharides which helps in producing the enzymes that improves Nutrient Absorbers. Due to its Amazing Property of Short Chain Fatty Acids, which plays a vital role in cells Lining that provide Intestinal tract to stay healthy and Fit. 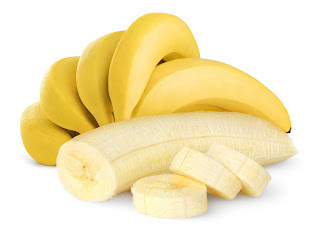 Banana is also considered as rich source of Carotenoids which are the Antioxidants that protects the Risk of Chronic Disease and also high in Antioxidant phenolic Compounds. It enhances the mood by Producing the Serotonin which has the effect of balancing the Mind and acts as a Sedative. Bananas can be taken immediately after long and Vigorous Workouts, inorder to provide instant Energy and to balance the Blood Sugar levels. 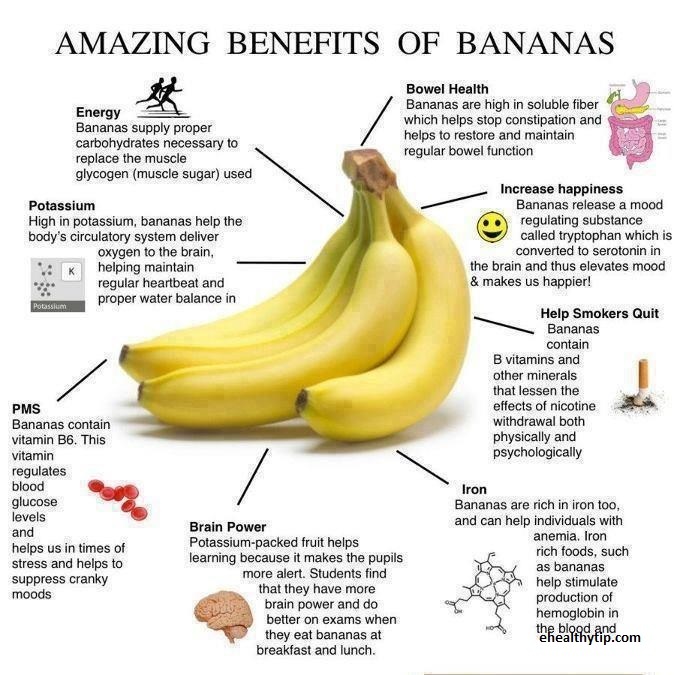 The Potassium content in Banana is the Source of Increasing Brain Power in Growing Children. Bananas help in curing piles due to the Dietary Fibers that helps in Normal bowel Function when the extremely leads to the bleeding. It is one of the Ideal Fruits that helps in Weight loss, since it contains Dietary Fiber. Bananas can be consumed by everyone at any time without any restrictions and Rules, in any form either as Salads or like a Vegetable. I consider banana as a super food. It is rich in potassium, magnesium, Vitamin c and b6. It is the best food to incorporate in your diet if you wish to gain weight. Banana is the best way to gain weight. The best time to eat banana is after the workout. It helps in regain energy and helps in weight gain too.